I’ve been discovering places one weekend at a time. But slowly my wanderlust was wearing off from exploring food, forts and treks around Mumbai. I now wanted a new adventure! I happened to read about river rafting in Kolad, a small village in Maharashtra with a population of thirteen thousand. Kolad is home to the Kundalika River, an important source of water not only for the villagers but also hydroelectric plants around the region and the Maharashtra Industrial Development Corporation (MIDC). Every morning between 7:00am and 10:30am, the Rawalge dam water is released into the Kundalika River that creates strong rapids. 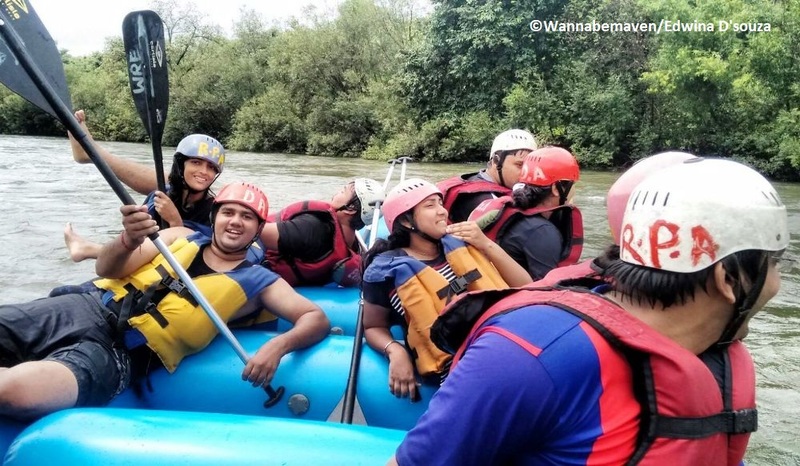 Kolad’s strategic location close to two major metropolitans – Mumbai and Pune gave birth to the idea of promoting Kolad river rafting for weekenders and adventure lovers. We were asked to sign a disclaimer right away, acknowledging the risks involved in this sport. All geared, we headed to the starting point and were further instructed on the dos and don’ts while in the river. The instructors are well trained, friendly and approachable. In unison our batch shouted ‘Kundalika Maiya ki Jai’ and off we went to play with the rapids. Kundalika River promises Grade 3 rapids, ideal for newbie and professionals alike. Ten rapids with funny names like Johnny Walker and Mini Mouse are rough enough to give you an adrenaline rush. Once you battle the rapids, you can jump into the river 30 feet deep. Thanks to the life jackets, you need not know swimming. Our instructor left us in the river by ourselves for over an hour while we played and splashed water on each other; and enjoyed some quiet moments with the utopian view, clearly one of the best I’ve seen in my recent travels. It was a serene experience with the only audible sound of gushing water and chirping birds. Your cameras will be in a water protective bag during rafting but you can use it to capture memories while lazing around in the river. Four hours later, you reach Kamath, the end point for river rafting. If you have a driver it is best to tell him to reach Kamath to pick you, from where you can move out of Kolad for Mumbai or onward journey. If you park your car at the starting point without a driver, you will have to return back taking an auto rickshaw, 25km by road. Autos exploit the situation by charging Rs. 600 for the journey. Nonetheless, the auto can transport 6-7 people in one go, so if you split the expense it comes to around Rs. 100 per head. Didn’t mind the Auto ride with a view like that! 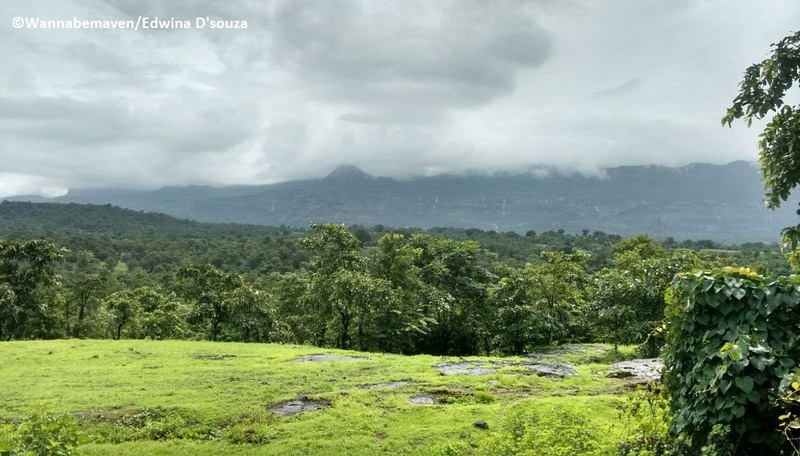 At just 130 km from Mumbai, Kolad is an easy and comfortable one day trip. The distance is shorter for Puneites at just over 100km. 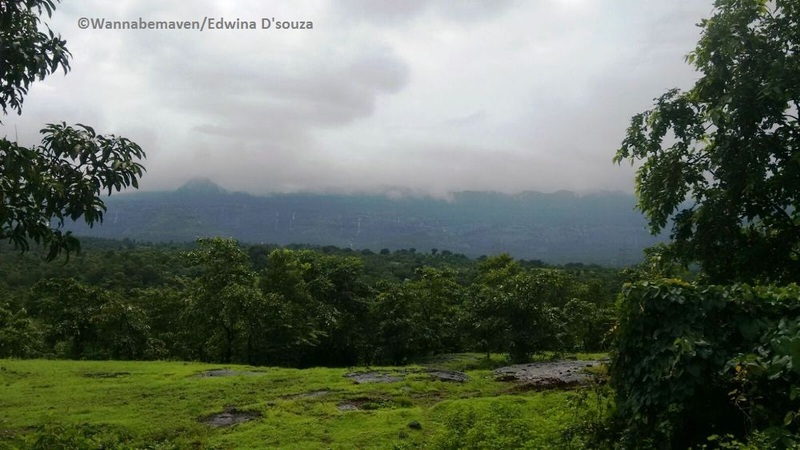 Kolad is situated in the Mahad region of the Raigad district. Take the Mumbai-Goa National Highway (NH17) until Nagothane and then take a turn for Kolad. Once in Kolad, ask for Suttarwadi village. Keep MTDC as your landmark to take a left for Daivya Adventures (they were our package operators). Alternatively, one can also reach Kolad via the Khopoli exit. 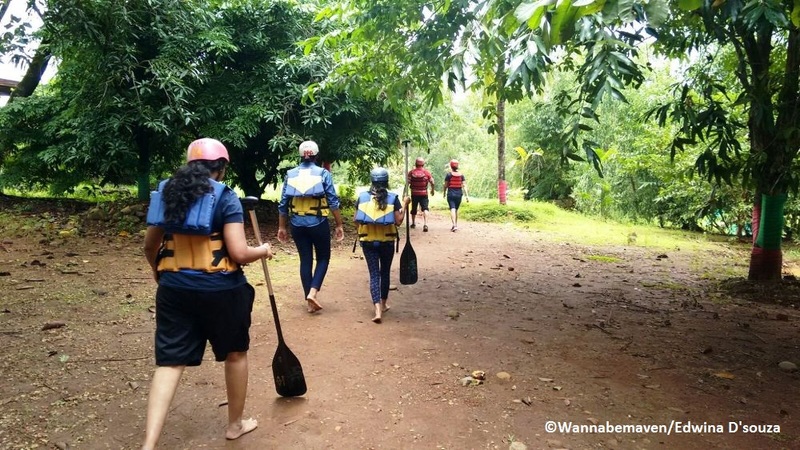 We left from Mumbai at 7am and arrived just in time for the 11am rafting batch. Due to some misunderstanding we were given the 1pm batch which we did not mind. The rafting expedition ended by 4pm and we headed back to the starting point to pick our car. We left Kolad by 5:30pm and were back in Mumbai by 11pm without it being a hectic trip. I booked the river rafting package online from a website called ‘Trip Platform’ for Rs. 1500 per head, inclusive of lunch and complimentary rifle shooting and archery. The complimentary add-ons were a façade. It looked good on paper but in reality they give you 3 shots each of rifle shooting and archery which get done with in less than 5 minutes. Staff management is also poor and the lunch was strictly average. I had hygiene issues with the vessels in which the food was served and believe me, I’m not a fussy person otherwise. Having said that, the River Rafting is the star of your package. It quickly makes you forget other drawbacks and turns your trip into a memorable one. Kolad River Rafting is open throughout the year depending on the release of dam water every morning. Call a couple of agents for a good deal. I got my package for 1500 INR but I’m sure there are cheaper deals if one searches diligently. It is advised to book at least a day prior. I even chose the option of 50% advance payment. Don’t forget to carry a copy of the invoice. Carry spare clothes, obviously! There are decent mobile shower rooms with changing facility. 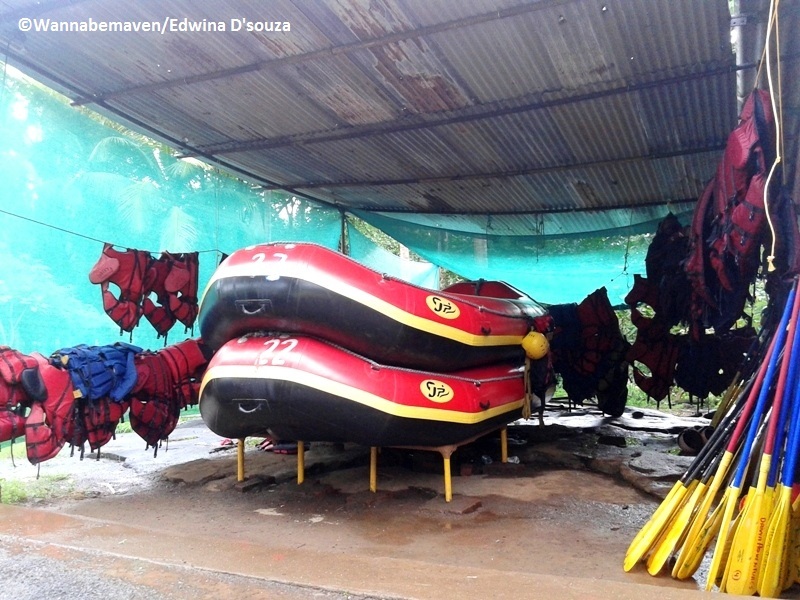 Each raft accommodating eight people are sent in batches of 3 and 4 at a single time. Depending upon the flow of the river, there are 3 batch timings – 8:30am, 11:30am and 1pm. You can add kayaking and river crossing to your trip for a dirt cheap price of Rs 100 and Rs. 200 respectively. We did not add these to our trip as it would result in too much exertion. Besides, these activities were at a different point in Kolad near the market area. 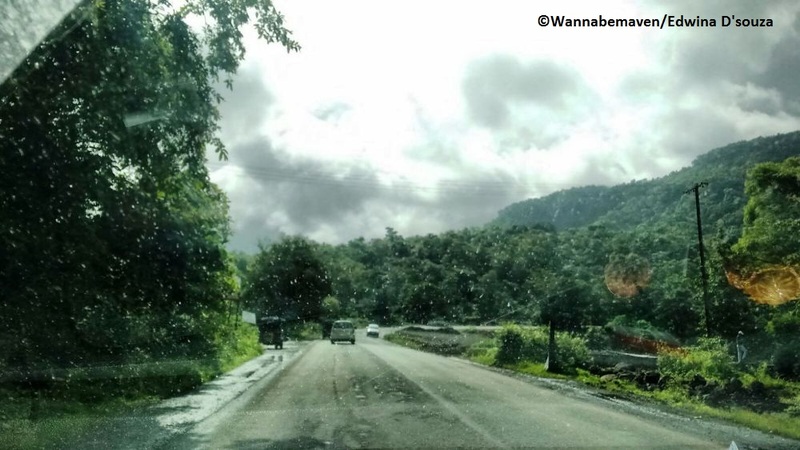 Monsoons are the best time to visit for a scenic drive while the river brims with waters. Adventure, adventure sports, adventure sports in India, Offbeat, River rafting, Road Trip, Road trips from Mumbai, Short Trips from Mumbai, things to see in Maharashtra, Travel. Bookmark.